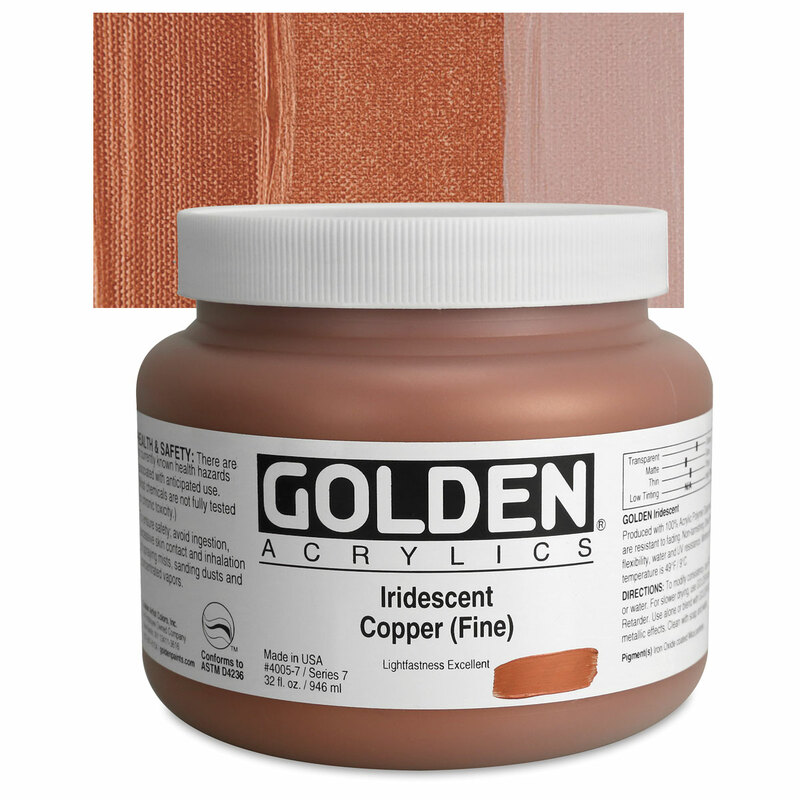 Golden Interference and Iridescent Heavy Body Acrylics add an exciting range of options to your creative repertoire. Used alone, or mixed with other acrylic paints, they enable you to achieve color effects that are truly spectacular. Iridescent colors synthetically reproduce natural phenomena, such as the nacreous quality of fish scales and butterfly wings, or the pearlescent effects of certain metals and minerals. When mixed traditional colors and mediums, they impart a luminous quality. "Coarse" colors employ a larger reflective particle size in comparison to "Fine" colors.